Force Measurement Imada mechanical force gauges are highly accurate instruments used to test the quality, strength or functionality of component parts or products. 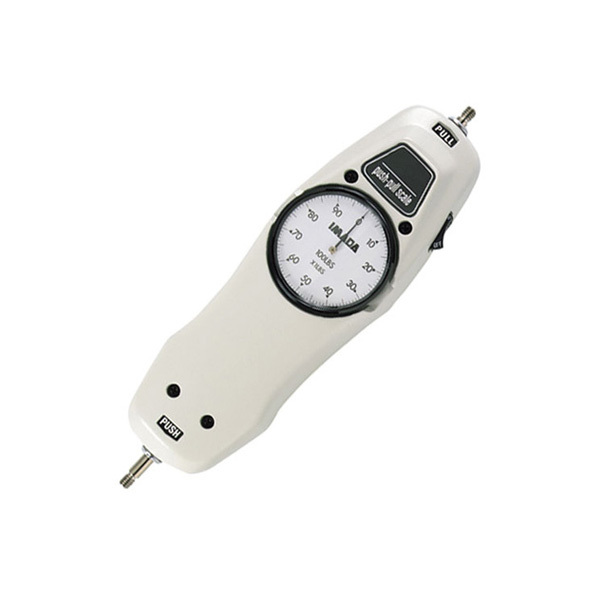 Imada mechanical force gauges check both compression and tension (push or pull). Peak force can be captured using the peak indicator needle and the tare ring compensates for the weight of attachments. 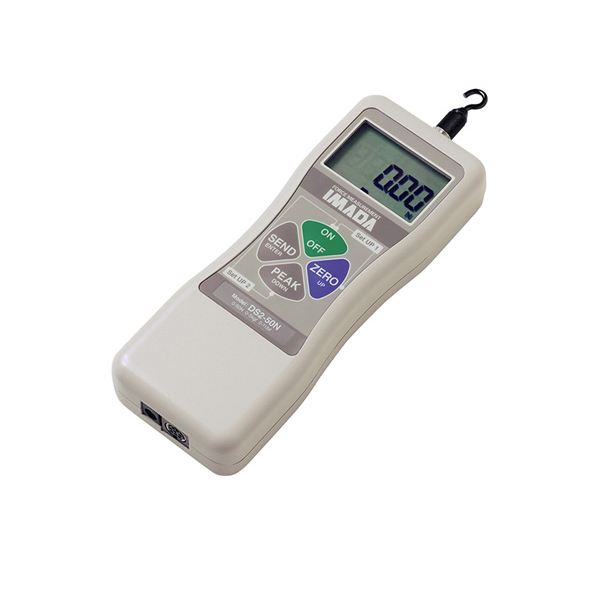 Imada force gauges are constructed with a heavy-duty metal case and all metal components to enable them to retain their calibration for years with proper care. These mechanical force gauges never need charging or batteries and are intrinsically safe in hazardous environments. Imada low capacity digital force gauges measure ranges up to 220 lbf with an accuracy of ±0.2% F.S., high capacity digital force gauges measure up to 1,100 lbf also with an accuracy of ±0.2% F.S and digital force gauges with remote sensors measure up to 4,400 lbf with an accuracy of ±0.5% F.S.